The first and second edition of Canadian Patent Law has garnered praise from patent and IP law practitioners. The book has proven to be a reliable practice guide for many patent lawyers and agents, and was cited numerous times in a landmark 2012 Supreme Court of Canada case. Now in its third edition, this book remains the only Canadian patent law text written from a patent prosecutor's perspective. The authors, both agents themselves, delve into the most fundamental legal and practical issues that Canadian patent lawyers and agents confront in everyday practice before the courts and the Canadian Intellectual Property Office (CIPO). This gem of a book is written in a refreshingly clear, straightforward manner, helping patent practitioners resolve patent law problems found in even the most complex patent matter. Has the invention been adequately "disclosed"? Was a defendant actually practicing the "invention"? Stephen J. Perry, B.Sc.EE, P.Eng. is a patent agent at Perry + Currier Inc., a leading Canadian intellectual property practice founded by Stephen Perry and Andrew Currier. Stephen started in the field of IP in 1983 and qualified as patent agent in 1985. His practice is focused on developing and managing international IP portfolios for Canadian technology companies of every size, covering a broad range of innovations in the fields of telecommunications, electronics, software, display technology, medical imaging and medical devices. Stephen chairs or serves on various committees and industry groups including those of the Intellectual Property Institute of Canada (IPIC), Canada's pre-eminent association of professionals who specialize in intellectual property. Stephen also serves on Council of the Canadian section of Fédération Internationale des Conseils en Propriété Industrielle (FICPI). A prolific author and speaker, Stephen has published an extensive series of articles on patent and industrial design issues and writes the Patent and Industrial Design chapters in Canadian Forms & Precedents – Commercial Transactions (LexisNexis Canada). 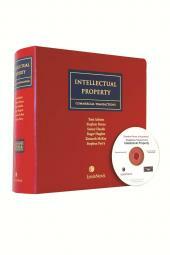 He is also the co- author of Canadian Patent Law, 3rd Ed. (LexisNexis Canada, 2018). He lectures frequently on software patents and industrial design issues, and travels regularly to international conferences and seminars. Stephen is also working with the Practice Advisor team on the Intellectual Property module. T. Andrew Currier, B.Sc.EE, P.Eng., LL.B., is a partner at Currier + Kao LLP, Lawyers and at Perry + Currier Inc., Patent and Trademarks Agents. Andrew combines many years of private practice experience with in-house business experience to bring a unique perspective to the practice of intellectual property. From 2000-2007, Andrew also held an appointment as adjunct professor at the Faculty of Law at the University of Western Ontario, teaching the Advanced Patent Law course. The intersection of these experiences has been noted, and highlights Andrew's appreciation of how intellectual property theory is practically used by businesses. Andrew's practice includes every aspect of intellectual property prosecution and law, including strategic advice, invention and innovation mining, drafting and prosecution, infringement and validity matters, freedom to operate, litigation, licensing, commercial transactions involving IP, enforcement and monetization.